Featuring an abstract tropical inspired print and a vibrant palete, this Krizia top is a bold statement piece. We love the relaxed fit and cuffed sleeves. 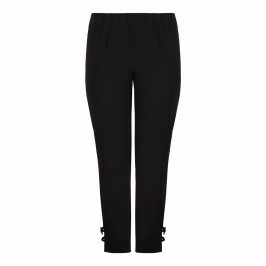 Team with black trousers and heels for a stylish evening look. Jersey short sleeved top. 93% Viscose, 7% Elastane. Delicate Machine Wash or Dry Clean.